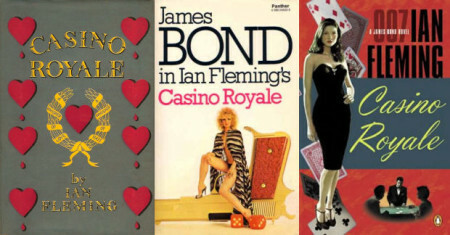 James Bond’s first ever drink in the books is an Americano, an Italian cocktail made with Campari, Cinzano and soda water. He orders this at the bar of the Hermitage Hotel, where Mathis introduces him to Vesper Lynd. Then, after nearly narrowly escaping a pair of Bulgarian assassins, Bond unwinds in his room with a whisky on the rocks to accompany his lunch of foie gras and cold rock lobster. After a session at the roulette tables, Felix Leiter introduces himself to Bond and offers to buy him a drink in the bar of the casino. It is here that Bond invents the cocktail he later names the Vesper. Best known after appearing in the 2006 film, the Vesper is made from three measures of Gordon’s gin, a measure of vodka and half a measure of Kina Lillet. 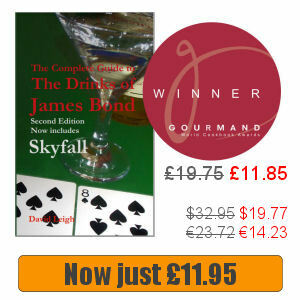 Bond asks the barman to shake the drink until ice-cold then serve it in a deep Champagne goblet with a large slice of lemon peel. Before facing Le Chiffre, Bond and Vesper dine together in the restaurant of Hotel Splendide. They share a carafe of vodka and order caviar as a starter. When Bond asks for a bottle of Taittinger ’45 to accompany the same meal, the sommelier instead suggests the 1943 Taittinger Brut Blanc de Blanc. Vesper follows the caviar with veal kidneys and souffléed potatoes then wild strawberries with cream. Bond has underdone tournedos of beef with sauce Béarnaise then an artichoke heart and half an avocado pear with French dressing for dessert. As his baccarat game against Le Chiffre comes to a head, Bond finds a half bottle of Veuve Clicquot has magically appeared beside him (Fleming simply refers to it as Clicquot). He fills his glass and downs it “in two long draughts”. After wiping out Le Chiffre, Bond shares another bottle of unspecified Champagne with Felix. Bond then celebrates the success of his mission with Vesper at the Roi Galant nightclub. 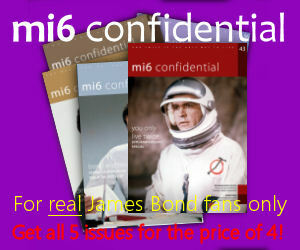 They share a bottle of Veuve Cliquot accompanies by Bond’s favourite dish, scrambled eggs and bacon. Once the bottle is finished, Bond orders another bottle of Champagne. After recovering from his torture by Le Chiffre, Bond and Vesper spend a few days at a small hotel while Bond recovers his strength. The first night they order homemade liver pate, broiled lobsters with melted butter and wild strawberries with thick cream. To accompany the meal they order two bottles of Champagne. After the meal Bond sips a brandy while Vesper drinks coffee. During their last night together, Bond and Vesper drink Champagne at dinner.